It would appear that the political u-bend impasse created out of last month's hung parliament in the Australian Federal election will finally be unblocked today as the kingmaker independent MPs show their hands. With the two Green affiliated members already siding with Labor it is now up to the three country independents - Tony Windsor, Bob Katter and Rob Oakeshott - to decide who will form a minority government. By this evening we should know their answer. Not only will this deliver us a government and relief from the endless hypothesising and second guessing by the media, but it should also curtail any further references to Windsor, Katter and Oakeshott as the Three Amigos. 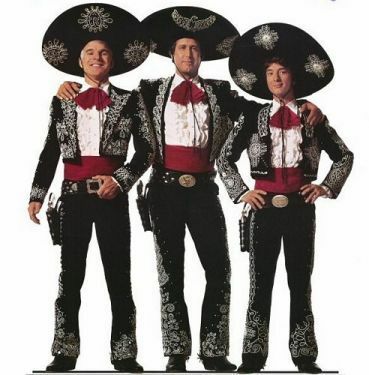 The sooner this trio make a decision and return to the shadows of the back benches the better for the good name of the actual Three Amigos, Lucky Day (Steve Martin), Ned Nederlander (Martin Short) and Dusty Bottoms (Chevy Chase). 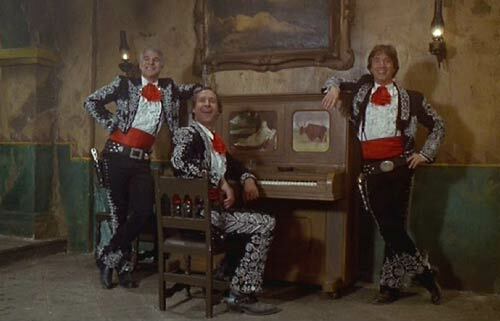 I for one am not happy to have my heroes associated with this kind of political jiggery pokery and would like to carpae this particular diem to reclaim the good name of The Three Amigos by reliving some of their greatest moments through the glory of ¡You Tube! Girl 1: "Which one do you like?" Girl 2: "I like the one that is not so smart" Girl 1: "which one is that?" "Excuse us. We're Not Mexicans. We're from out of town." Flugelman "do you know what 'nada' means?" Dusty "Isn't that a light chicken gravy?" Rosita: "I was thinking later you could kiss me on the verandah" Dusty: "lips will be fine"
"Look Up Here" - Lucky tries in vain to secretively summon Ned and Dusty. (If you don't watch any other clip watch this one for a reminder of why Steve Martin used to be such a big star). So Messrs Katter, Oakeshott and Windsor - your moment in the limelight is up. 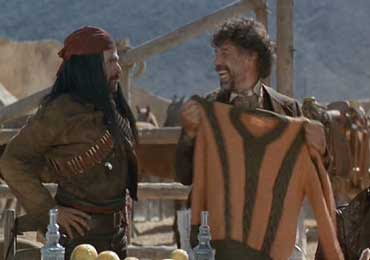 Time for you to face your El Guapo, make a call and then ride off into the sunset. Let's hope for all our futures that your decision making is a little better than that of your temporary namesakes. 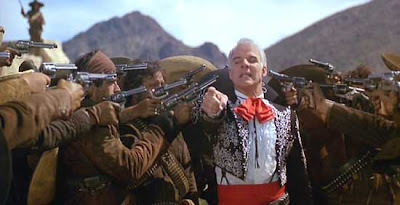 ¡Arriba!